Acer are going to rock your smartphone world this year with their new (award winning?) Acer CloubMobile smartphone. Details after the jump. Acer’s latest smartphone offering, which will likely be announced at MWC, has reportedly already won an iF 2012 award for design, and it’s easy to see why. 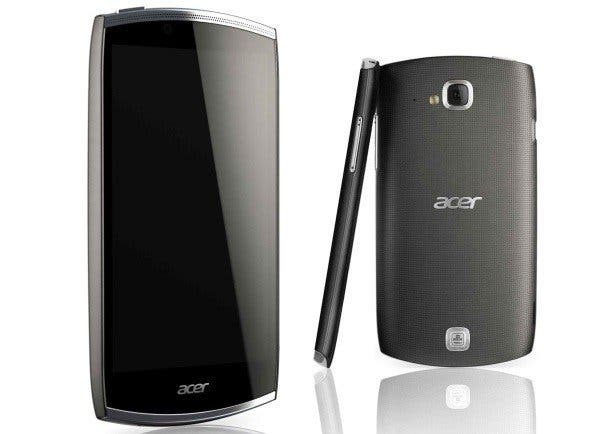 The 10mm thin CloudMobile smartphone from Acer, hasn’t been officially released yet, but some of the curvaceous smaartphone’s details and specification have already been leaked and include a large 4.3″ HD display, with dolby sound and an Android 4.0 Ice-cream Sandwich OS. This will also be Acer’s first device to offer CloudMobile, which is tipped to be an integrated cloud storage solution for documents designed to increase productivity. Next Android Hack Allows Access To Google Wallet!